Ministry of General Education sources have told the Zambian Watchdog that Patriotic Front members have been writing ECZ examinations from their homes. 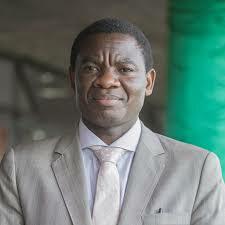 The sources who spoke on condition of anonymity disclosed that the General Certificate of Education (GCE) midyear examinations which were conducted from 16th July 2018 to 16th August 2018 had a number of malpractices involving people who were writing examinations from their homes on behalf of PF party members and the papers were being submitted together with the rest written from exam centres. ‘People are complaining that almost all the examination papers leaked, but as invigilators we were aware that some people were writing exams from their homes on behalf of political cadres from the Patriotic Front,’ one of the sources lamented. For one to contest for election as a Councillor, Member of Parliament or president a minimum of a grade 12 certificate or any tertiary qualification is needed. A number of politicians were knocked out of the 2016 tripartite elections because of this requirement.